We proudly announce the beginning of the Tech ARP 2015 Mega Giveaway! Based on our past experiences, we have made some changes to the contest mechanics, as well as the prizes. Let's find out what's new and what's different! Participate In The Forums - Just come over to the Tech ARP forums, and join the discussion! Every post you make gives you a chance to win the prize for the week throughout the entire contest. The more you post, the higher your chances of winning a prize! Facebook Share, Like & Comment - Just Like the official Tech ARP Facebook page, and then Share, Like and/or Comment any picture or post on our Facebook page. Every Share, Like or Comment that you leave on our Facebook page gives you an entry in the contest. The more you share, like or comment, the higher your chances of winning a prize! and email it to us at contest @ techarp.com. As usual, the results of this contest will be posted in this page, so please make sure you check back often. Some prizes have a short time limit and must be redeemed quickly. We will not be responsible if those prizes "expire" because you take too long to respond. Simple, isn't it? But be sure to check out the full list of rules below. Now, let's take a look at the prizes! The Prizes & The Winners! Please e-mail Adrian (awsh REMOVEME @ techarp.com) your particulars ASAP. Be sure to include your real name, full address and telephone number. Thanks! 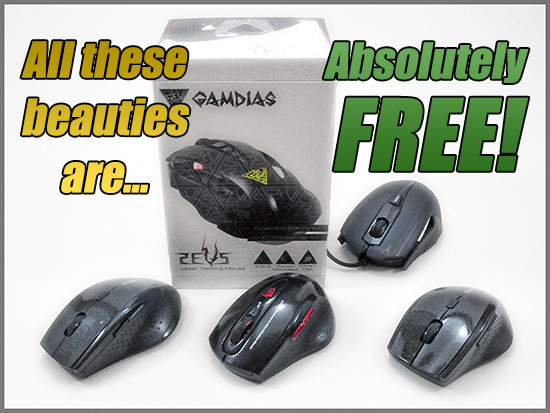 Up for grabs this month are the magnificent GAMDIAS ZEUS (GMS1100) laser gaming mouse, the phenomenal GAMDIAS HADES (GMS7011) laser gaming mouse, and three MigNon / Rapoo 2.4 GHz wireless gaming mice with 6 buttons and adjustable DPI. Every mouse will also come with mystery swag, which we will randomly pick to include in your package! Up for grabs this month are FIVE (5) precision-crafted Mi Power Banks from Xiaomi. These awesome power banks not only pack 10,400 mAh of battery capacity, they feature nine layers of circuit protection and improved power output efficiency! Every Mi Power Bank will also come with mystery swag, which we will randomly pick to include in your package! 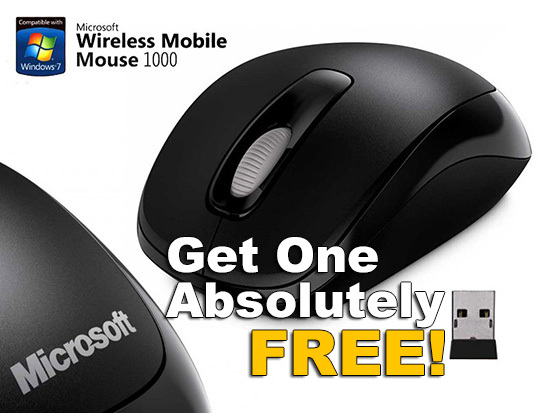 Up for grabs this month are FIVE (5) units of the Microsoft Wireless Mobile Mouse 1000. Made for the mobile warrior, this ambidextrous wireless mouse features a nano receiver that hides in the battery compartment and a 10-month long battery life on a single AA battery! Every Microsoft Wireless Mobile Mouse 1000 will also come with mystery swag, which we will randomly pick to include in your package! Up for grabs this month are FIVE (5) units of the Mi In-Ear Headphones! The high-end Silver or Rose Gold models are not only silver / gold-plated, they feature a metal composite diaphragm and a dual damping system for a purer sound quality. The basic models lack the silver / gold plating but feature the same piston design and dual damping system that deliver superior sound quality and powerful bass, as well as long-lasting copper voice coils. Every set of Mi In-Ear Headphones will also come with mystery swag, which we will randomly pick to include in your package! Up for grabs this month are TWO (2) units of the precision-crafted Mi Power Banks from Xiaomi. These awesome power banks not only pack 10,400 mAh of battery capacity, they feature nine layers of circuit protection and improved power output efficiency! 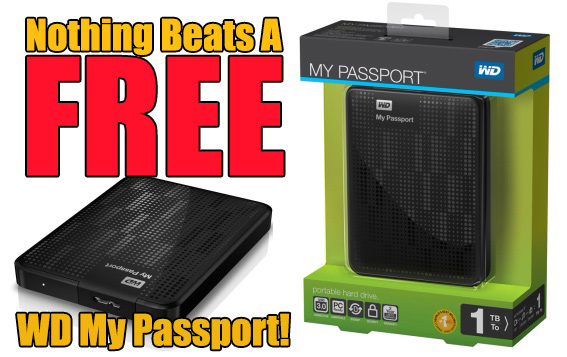 Up for grabs this month is the Western Digital My Passport 1 TB portable hard disk drive! The My Passport Drive will also come with mystery swag, which we will randomly pick to include in your package! 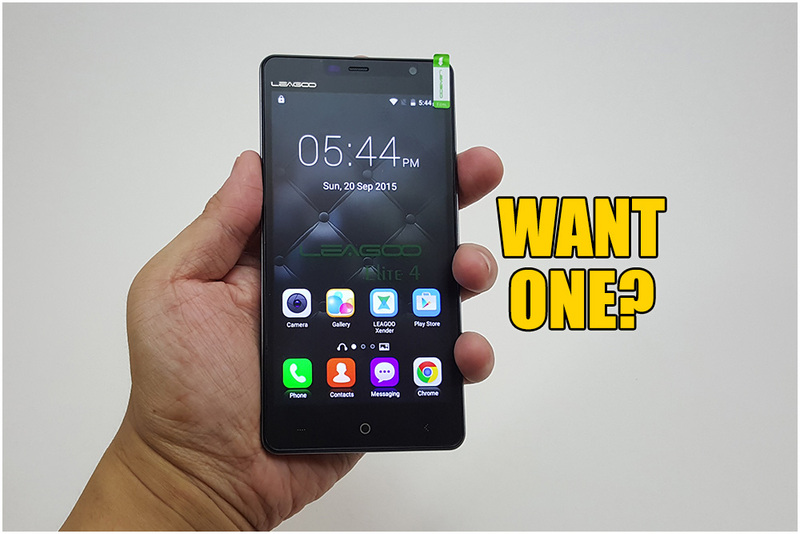 Up for grabs this month is the LEAGOO Elite 4 smartphone! The LEAGOO Elite 4 is an Android 5.1 smartphone powered by a quad-core processor, with 1 GB of RAM and 16 GB of internal storage. It supports dual SIM cards and even doubles as a power bank. Photobugs will enjoy its 8 MP main camera and 5 MP selfie camera! The LEAGOO Elite 4 will also come with mystery swag, which we will randomly pick to include in your package! 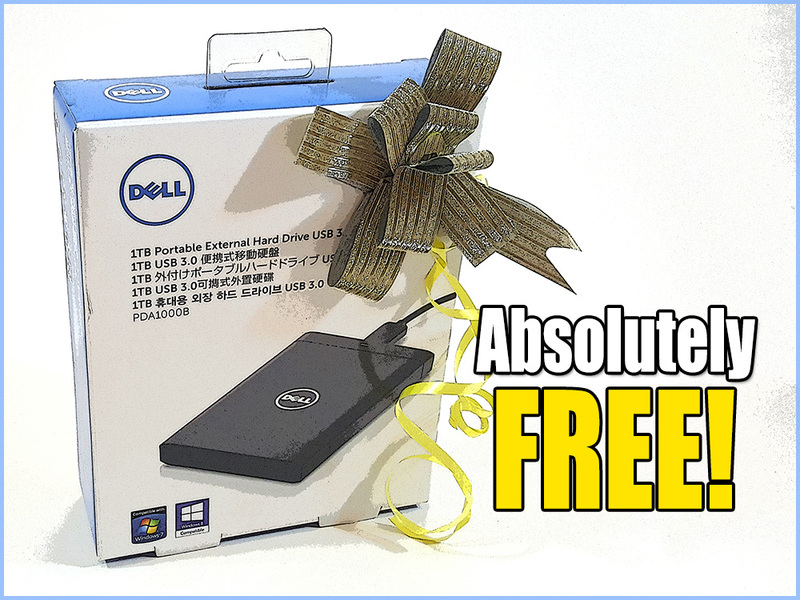 Up for grabs this month is the 1TB Dell Portable HDD! The 1TB Dell Portable HDD will also come with mystery swag, which we will randomly pick to include in your package! 1TB Dell Portable HDD (+ Mystery Swag) : This could be you! Contest #9 : To Be Announced! Please note that all prizes are provided as-is. That means we will not be responsible for any damage or loss of function/parts before, during or after delivery. You will need to be a registered member of the Tech ARP Forums so if you have not registered earlier, you will need to register before you can participate. Don't worry - registration is FREE and the process is very simple! Note : Please tell your friends to identify you as their Referral during the registration process so you will get credit for it. After registering your account, all you need to do is participate in the Tech ARP Forums during the contest week. Every post you make (whether it's a new thread, or a reply to someone else) gives you a chance to win the prize of the week. The more posts you make, the more you are likely to win. At the end of the contest month, we will randomly select 10 Potential Winners from the pool of qualifying posts or referrals (of which there could be multiple instances of the same contestant), which will go into the Contest Pool. You will need to have a Facebook account to participate, so if you have not registered your account in Facebook, you will need to do so before participating. Once you have a Facebook account, log into your Facebook account and go to the Tech ARP Facebook page. Click on the Like button to like the Tech ARP Facebook page (if you have not already done so). Scroll down the Tech ARP Facebook page and if you see any article or news post you like, and Share them on your wall, or Like them, or post a comment. That's it! It's that simple. Just doing that qualifies you for the contest of the week. To qualify for the next and following weeks' contest, just make sure you come back to our Facebook page every week, and like or share some of our news posts or articles! At the end of each contest month, we will randomly select 10 Potential Winners from all those who Liked our Facebook page, and Shared, Liked or Commented in at least one of our news posts or articles, which will go into the Contest Pool. The more likes and comments you have, the more likely you are to win. Please note that we count all likes and comments, even if they are of older posts, or those that you liked or shared before this contest. Important Note : Due to the number of fake accounts set up expressedly for the purpose of "gaming" these contests, we will be using the number of Friends as a multiplier (adjusted with a divider*). That means your Likes and Shares will be multiplied by the number of Friends associated with your Facebook account when determining the "final number" of entries to be entered into the Contest Pool. Also, as a point of clarification - each Like and each Share will be treated separately. If you liked and shared a post, that will be considered equivalent to two likes or two shares. If you have 10 Friends associated with your account, you will receive 2 x 10 = 20 entries. * A divider may be applied to avoid a single participant with thousands of fans from automatically winning all of the contests. All you need to do is browse or read our articles, reviews and editorials and look out for the icon on the right. When you see the icon, either take a screenshot OR copy the URL of the page in which you saw the icon. There may be more than one icon placed in the pages of every article / review. Email us the screenshot or the URL of the page with the icon. You can accumulate several screenshots and URLs in a single email. They will be counted separately for the purpose of determining a Potential Winner. At the end of each contest month, we will randomly select 10 Potential Winners from all those who sent us qualifying emails. The more URLs or screenshots you send us, the more likely you are to win. The list of Potential Winners will go into the Contest Pool. The final prize winners will then be randomly drawn from the Contest Pool. There may be multiple instances of the same Potential Winner in the Contest Pool, due to the fact that some participants may be more active / luckier than others. If the same person wins two (or more) prizes in that particular contest month, he/she will receive the prize with the highest value, and another winner will be randomly selected from the Contest Pool. The results of this contest will be posted in this page, so please make sure you check back often. Some prizes have a short time limit and must be redeemed quickly. We will not be responsible if those prizes "expire" because you take too long to respond. Please also note that if you do not contact us within 14 days of the announcement of your winning, your prize will forfeited and offered to other contestants in a new contest cycle. Tech ARP will be sponsoring many of these prizes and delivery of all prizes at substantial cost to the team. If you would like to help us defray our costs, you can do so by visiting more of our sponsors or donate to our fund. Any help you can render is greatly appreciated! Spam posts will be deleted and will not count in the forum contest. Participants who unliked our Facebook page will be disqualified from the Facebook contest. This contest is open to everyone from around the world, including members of Team ARP. Only the contest judge Adrian Wong is not allowed to participate. Delivery is sponsored by Tech ARP and is usually by Pos Malaysia, but you may request for faster or better delivery services at your own cost. If a prize is deemed to be too expensive / bulky / difficult to deliver overseas, Tech ARP reserves the right to limit the prize only to Malaysia, and/or change to a different prize. The judge's decisions are final. Added details of Contest #2 : Mi Power Bank Giveaway! Announced the winners of Contest #1 : Gaming Mouse Giveaway! Announced the winners of Contest #2 : Mi Power Bank Giveaway! Added details of Contest #3 : Microsoft Wireless Mouse Giveaway! Announced the winners of Contest #3 : Microsoft Wireless Mouse 1000 Giveaway! Added details of Contest #4 : Mi In-Ear Headphones Giveaway! 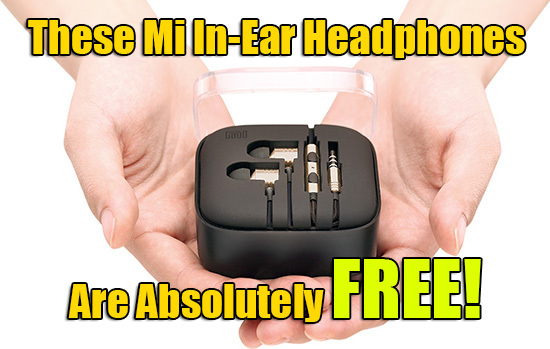 Announced the winners of Contest #4 : Mi In-Ear Headphones Giveaway! 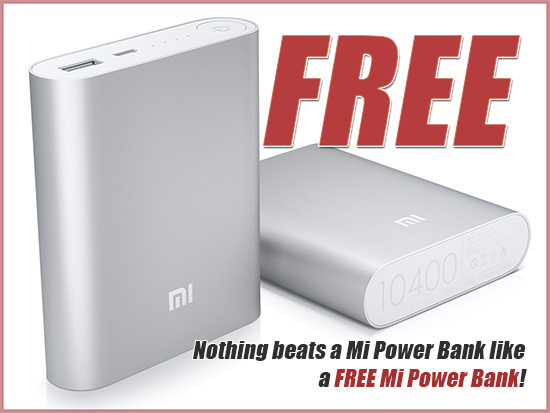 Announced details of Contest #5 : Mi 10400 mAh Power Bank Giveaway! Announced details of Contest #6 : WD My Passport Giveaway! Announced the winners of Contest #5 : Mi 10400 mAh Power Bank Giveaway! Announced details of Contest #7 : LEAGOO Elite 4 Smartphone Giveaway! Announced details of Contest #8 : Dell Portable HDD Giveaway! Announced the winner of Contest #7 : LEAGOO Elite 4 Smartphone Giveaway!